Ever since Microsoft Dynamics Business Central was born as Project Madeira, I have had a passion for this new cloud-based mid-market ERP solution. Watching it mature with every new update and feature enhancement has been a joy to experience. 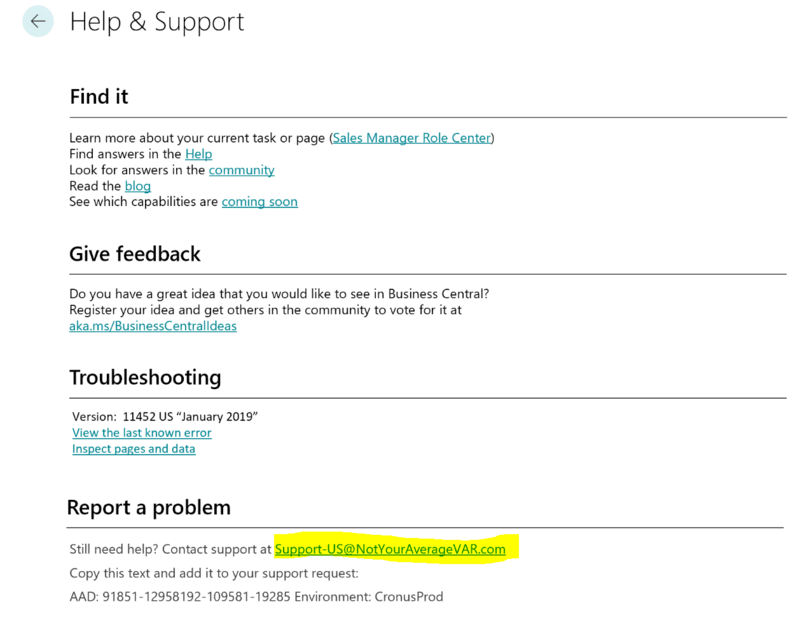 This is probably why I am very excited about the publishing of the April 2019 Release Notes for Dynamics Business Applications and the Power Platform by Microsoft. This is the time, a very special time, that only happens two times per year. I get to sit on the couch, with a glass of wine and read hundreds of pages of upcoming features being launched to the Dynamics 365 Business Application suite and Power Platform. The initial document is over 300 pages and I know there is no-one that wants to read this entire document. Almost 10% of the document is dedicated to Business Central. Almost five of these pages are strictly focused on the improvements in the developer functionality of the solution. This is incredibly exciting and optimistic for the future and focus of Dynamics 365 Business Central. 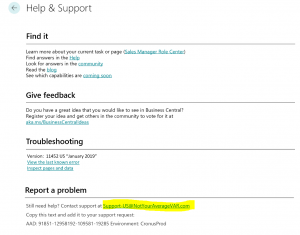 When I met privately with the Microsoft product team at User Group Summit last fall in Arizona and spoke to them about upcoming changes to Business Central, they made it very clear to me this next upgrade would have a lot about performance and partner control of the solution versus tons of feature additions. This completely makes sense when you think about it. If the solution has performance issues, then why bother adding features. So, one of the main things that Microsoft is improving is the overall performance. To help you out, I am going to highlight just a few of my favorite items in the upcoming April 19 Release for Business Central section that caught my attention quickly. If you do really want to spend the time reading the full document on your own, you can find it here. Microsoft will be making improvements based on looking at usage patterns and demands. They have also improved the browser experience by changing the way the information is loaded. In addition, maintenance windows have changed to not be in direct conflict with work hours and minimize disruptions. All these items should result in a better performance experience for the end-user. The partner now has better controls of the upgrade schedules. In the past, we could tell Microsoft when the upgrades could not happen. Tenants will have predetermined assigned dates for an upgrade, but now we will be able to adjust the schedule for a different date and even just press an “Upgrade Now” button too. The partner can also telemetry inside the tenant so they can better identify why something may be happening. This feature was launched in 2018 but is being expanded on in this April ’19 release. In addition, the Business Central admin will be able to manage and receive the new event navigation feature. These notifications will include details about upcoming upgrades, upgrade schedules, upgrade results, and available extension upgrades. A simplified help and support experience inside the solution will allow an end user to feel more enabled. They will be able to contact their partner or an internal IT department for support since the contact information is customizable on the Help & Support Screen. Having this type of increased support and management will allow the Business Central Admin and the partner to strategize together the best way to be proactive with the account and maximize uptime. Keyboard Shortcuts – In the October ’18 release, Microsoft launched this feature and they are doing only good things to it. They have expanded it with many additional combinations (i.e. slim/wide page mode, show/hide fact box, add a new item, and previous/next navigation). Go here to find the entire list of shortcuts now and in the future. Improved Contextual Search – New users often use different business terms than those used to name the related entities in Business Central. For example, they may use “product” instead of “item” or “client” instead of “customer”. Microsoft includes about 200 of these out of the box but now allows a developer to add custom ones too as needed. 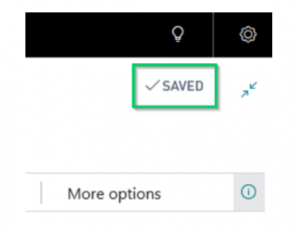 AutoSave Indicator – Since using the cloud for business application software may be new to people, the concept of autosave is new and some users worry if their work has been saved. In this upcoming release, this won’t be a problem anymore, a new indicator has been added. The indicator can display Saving or Saved depending on current state. I hope you are as excited, like we are, for these new features planned for the April ’19 Release. Please do not hesitate to reach out to sales [at] dynamicconsulting.com If you have any questions about this upcoming update, about your current Dynamics Business Central solution or if would like to schedule a free trial with us. We look forward to helping you if needed.